Arena in Neza that was created in 1961. 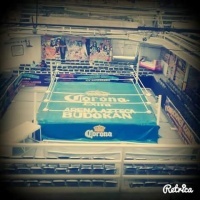 It is promoted by the Moreno wrestling family (the widow of Alfonso Moreno & children Alda, Esther, Rossy, Cynthia & Oriental) It is the host to many independent lucha shows and AAA when they come to town. This page was last edited on 5 November 2017, at 15:48.